Possessing the renowned Apple iPhone is perhaps the dream of every consumer but only people with high income could afford to buy this device. At present, iOS applications have become a favorite of the entrepreneurs because these are exceptionally beneficial and allow seamless functioning of the varied business strategies. With utmost security, enhancement of ROIs, easy testing; a business owner can consider hiring an iPhone app developer because these applications have the potential to let organizations reach new heights of success. Most of the people are now using the smartphones, especially on the Apple phones. 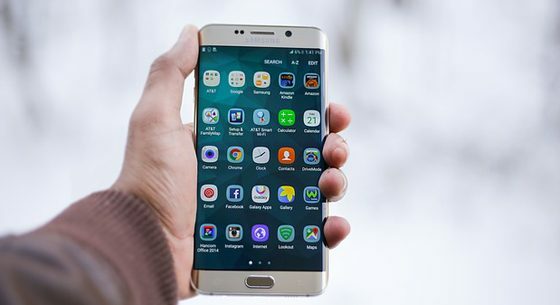 The IPhone apps are growing in importance and it is estimated that the rate of downloading has increased tremendously in the last few months. How iPhone apps benefit your Business? Apple managed to earn widespread recognition and became a prominent leader in providing optimal devices starting from smartphones to laptops, tablets, and desktops. Thus, we can understand the craze among business entrepreneurs to use iOS apps. The applications offer some unmatchable advantages like supreme brand exposure, impeccable software system, sophisticated security and exceptional customer support. Almost all these apps work amazingly and provide the best user experience. So, there are various by which the apps of Apple be beneficial for your business. Business owners must invest in hiring a proficient iPhone application development company because the iOS apps could increase sales and let a company achieve new horizons both in domestic as well as international markets. The iPhone is specifically designed for the tech-savvy consumers, who use advanced technology and related solutions to accomplish the targeted goals. Thus, this device delivers audiences with optimal products and services and that too in an innovative manner. The importance of iPhone apps is increasing globally. iOS platform is noted for providing users with high-end security, which is perhaps the best thing about the applications. The users are thus, kept protected from all sorts of external threats such as viruses and hackers. Maximum safety is one of the chief reasons for which businesses have decided to use iOS applications. The ready availability of iPhones in the market and wider base of clientele treasured by Apple allowed this brand to achieve much prosperity. Business enterprises could hire a iPhone developer for iOS applications that would let their organization to flourish in the market. Increase Visibility to Clients at All Times. Provide Your Customers with Value.